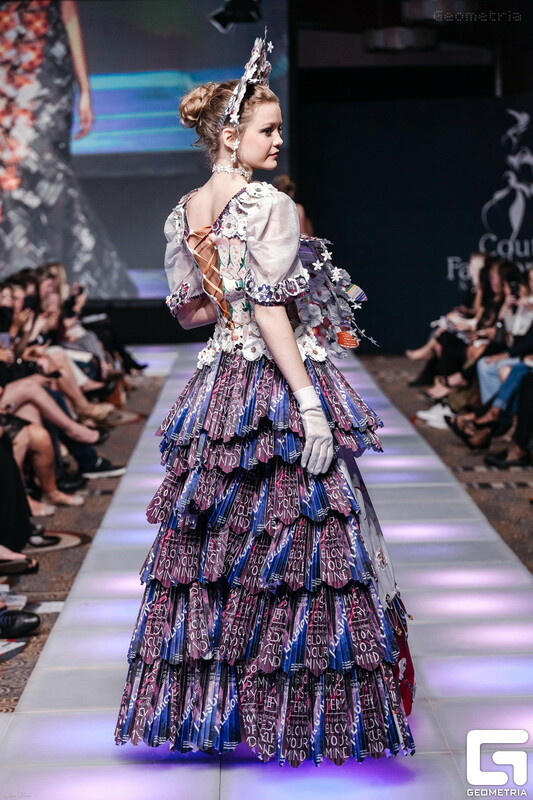 Opera Recycles presented by Opera Carolina showed their eco-friendly fashion collection during Couture Fashion Week New York‘s 26th season on Saturday, September 9, 2017, at the Crowne Plaza in Times Square. 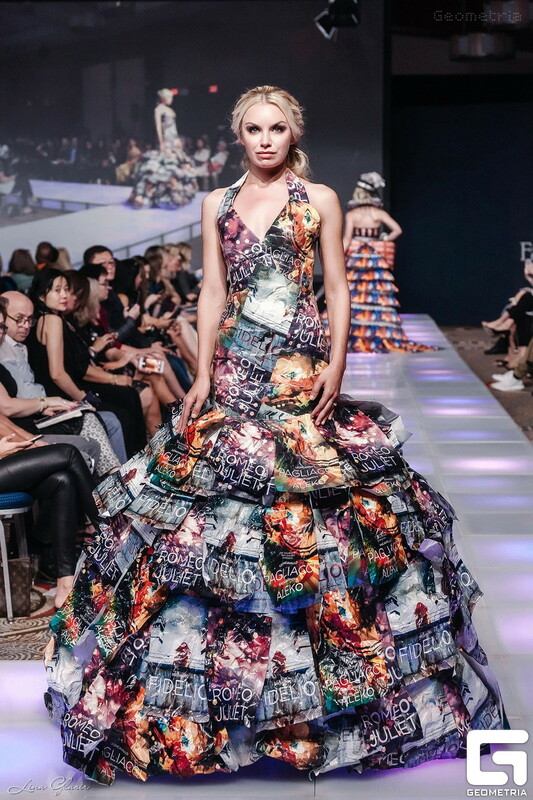 Opera Carolina and WarPaint International Beauty Agency team up to deliver bold, striking looks to compliment opera-based recycle-design sustainable dresses. Opera Carolina Marketing Director, Megan Miller, teamed up with Jessica Mae, Founder of WarPaint International Beauty Agency from Minneapolis, MN to design high-power makeup and hair concepts. Jessica brings 12 years of experience in her field with creative makeup design and production in the beauty industry. Her company, WarPaint International, is a Midwest Minnesota beauty agency founded in 2010 and based in Minneapolis. WarPaint International produces spring and fall trend development for various looks that everyday women can speak to and wear with confidence. This core focus has been the artistic direction for the company since its inception which speaks to the message of sustainability being driven by Opera Recycles. Jessica Mae was accompanied by WarPaint International’s Director of Education, Katie Rote to help design and curate the hair and makeup looks for Opera Carolina’s entire runway collection, alongside WarPaint Minneapolis Market Manager & Artisan, Mariah Jere and members of the WarPaint International Manhattan team. 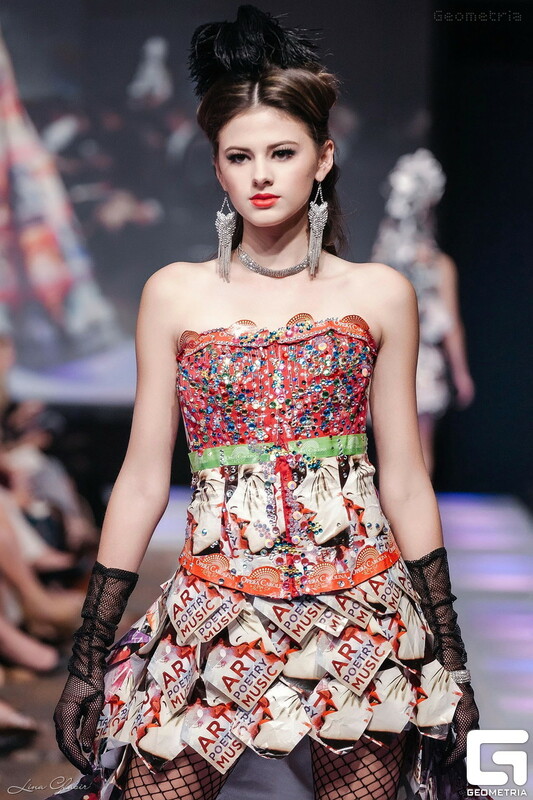 The recycled dress designs. The opera inspired looks. Designers showing their looks included Kristen Alyce, Lyndsee Hairston, Malou Tabada Cordery, Emily Kramer, Venie Tadeo, Sarah Danee and Rocio Llusca. Hair and makeup curated and styled by yours truly - WarPaint International Beauty Agency. Pagliacci is an Italian opera in a prologue and two acts, with music and libretto by Ruggero Leoncavallo. It is the only Leoncavallo opera that is still widely performed. This look was specifically curated to create the feel and emotion of the proverbial tragic clown. Rigoletto is an opera in three acts by Giuseppe Verdi. The Italian libretto was written by Francesco Maria Piave based on the play Le roi s'amuse by Victor Hugo. Despite serious initial problems with the Austrian censors who had control over northern Italian theaters at the time, the opera had a triumphant premiere at La Fenice in Venice on 11 March 1851. La Traviata, (The Fallen Woman) is an opera in three acts by Giuseppe Verdi set to an Italian libretto by Francesco Maria Piave. It is based on La Dame aux Camélias (1852), a play adapted from the novel by Alexandre Dumas, fils. The opera was originally titled Violetta, after the main character. It was first performed on 6 March 1853 at the La Fenice opera house in Venice. I DREAM is a largely through-sung musical drama – sometimes referred to as a “Rhythm & Blues Opera” – based on the life of a preacher from Atlanta. The full production features a cast of up to 25 actors and a 15-piece orchestra playing a dynamic fusion of musical forms – from the operatic, to gospel, blues, and jazz to contemporary – evoking the epic scale of a man’s life story, as well as the deeply moving episodes along the way. La fanciulla del West (The Girl of the West) is an opera in three acts by Giacomo Puccini to an Italian libretto by Guelfo Civinini and Carlo Zangarini, based on the play The Girl of the Golden West by the American author David Belasco. Fanciulla followed Madama Butterfly, which was also based on a Belasco play. The opera has fewer of the show-stopping highlights that are characteristic of other Puccini works but is admired for its impressive orchestration and for a score that is more melodically integrated than is typical of his previous work. This dress was also inspired by "The Girl of the West"
The Barber of Seville, (or The Useless Precaution) is an opera buffa in two acts by Gioachino Rossini with an Italian libretto by Cesare Sterbini. The libretto was based on Pierre Beaumarchais's French comedy Le Barbier de Séville (1775). The première of Rossini's opera (under the title Almaviva, o sia L'inutile precauzione) took place on 20 February 1816 at the Teatro Argentina, Rome. Even after two hundred years, it remains one of the greatest masterpieces of comedy within music. Madama Butterfly is an opera in three acts (originally two) by Giacomo Puccini, with an Italian libretto by Luigi Illica and Giuseppe Giacosa. It is based on the short story "Madame Butterfly" (1898) by John Luther Long, which in turn was based on stories told to Long by his sister Jennie Correll and on the semi-autobiographical 1887 French novel Madame Chrysanthème by Pierre Loti. Rusalka is an opera ('lyric fairy tale') by Antonín Dvořák. The Czech libretto was written by the poet Jaroslav Kvapil (1868–1950) based on the fairy tales of Karel Jaromír Erben and Božena Němcová. A Rusalka is a water sprite from Slavic mythology, usually inhabiting a lake or river. Rusalka is one of the most successful Czech operas, and represents a cornerstone of the repertoire of Czech opera houses. The Marriage of Figaro (Italian: Le nozze di Figaro) is an opera buffa (comic opera) in four acts composed in 1786 by Wolfgang Amadeus Mozart, with an Italian libretto written by Lorenzo Da Ponte. It premiered at the Burgtheater in Vienna on 1 May 1786. The opera's libretto is based on a stage comedy by Pierre Beaumarchais, La folle journée, ou le Mariage de Figaro ("The Mad Day, or The Marriage of Figaro"), which was first performed in 1784. It tells how the servants Figaro and Susanna succeed in getting married, foiling the efforts of their philandering employer Count Almaviva to seduce Susanna and teaching him a lesson in fidelity. 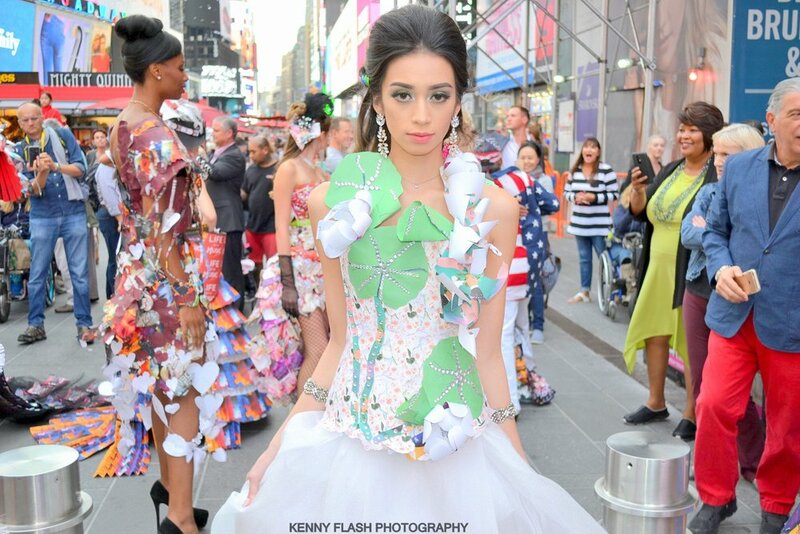 Opera Carolina and WarPaint International rock New York Fashion Week and Times Square with Opera Recycles. Some really special people came together to make this runway show happen. First and foremost, THANK YOU to Katie Rote for interviewing all of the models with me and designing each look to specifically speak to the opera and gown that each model wore. Thank you to Mariah Jere, our Minneapolis Market Manager who is an absolute warrior in the trenches. Despite the fact that she manage a team of almost 50 Artisans in Minneapolis and over 150 wedding parties, she managed to get to NYC for two days and join this group of rock stars. Thank you to the NYC Artisans listed below who dedicated this day to perfecting the looks that we sculpted from concepts in the sky. And a BIG thanks to Mariah's partner Chris who captured the below image and many more behind the scenes that hit our social media on the day of the show. From left to right: NYC Artisan Stefanie, NYC Artisan Fay, NYC Artisan Gabby, MPLS Artisan Mariah, WPI Founder Jessica Mae, WPI Director of Education Katie Rote, NYC Artisan Danielle. Could we be anything without the models? 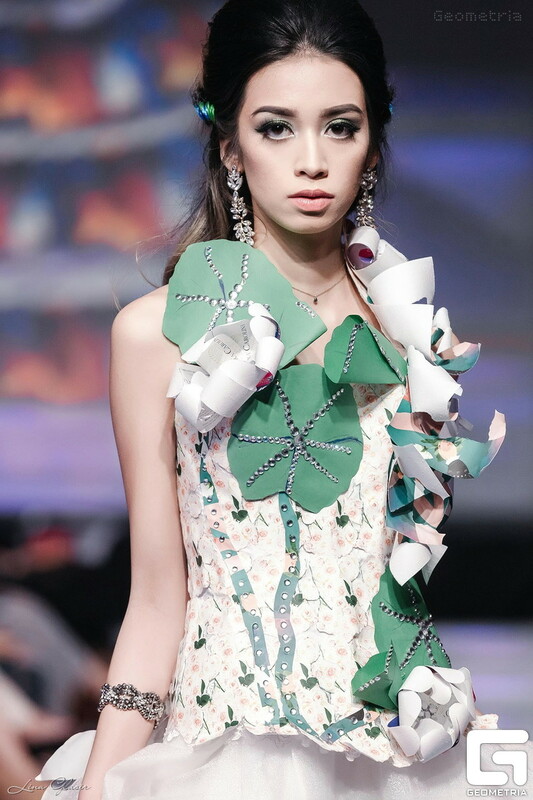 Its one thing to design a look and a dress. It's another thing to have the model wearing them own it like they were born with it. Thank you to these young women for allowing us to help them "Prepare For Battle". The Journey from North Carolina to Minneapolis to New York City started right here in Downtown Minneapolis at WCCO.